Leaving a sufficient retirement capital sum to secure a comfortable retirement for loved ones left behind. Our process uncovers your perspective and preferences and then we design an insurance strategy to provide for the needs you identify, should any of the insurable events occur. The following three types of insurance are all about you and making sure you’re best placed to deal with an unfortunate event. These all provide cover benefits whilst you’re alive. Our advice revolves around giving you the financial control you need during unfortunate times of sickness or disablement. For more information on what insurances can cover and the various policy features see the Money Smart Website. Just like our key investment principle of keeping costs low and minimising risks, we consistently apply this approach to our insurance advice. Quite often you are able to insure for a large amount, but it comes at a significant cost. Insurance advice for us is about educating our clients and empowering them to make an informed decision about the risks that they face. Running through various situations and asking them to consider how they would be placed to respond financially. Where they don’t like the outcome, or could foresee the family struggling financially, we provide recommendations for insurance policies to be put in place to outsource the risk to an insurer. Tax effective Ownership for deductibility of premiums. Tax consequence of a possible insurance payout. 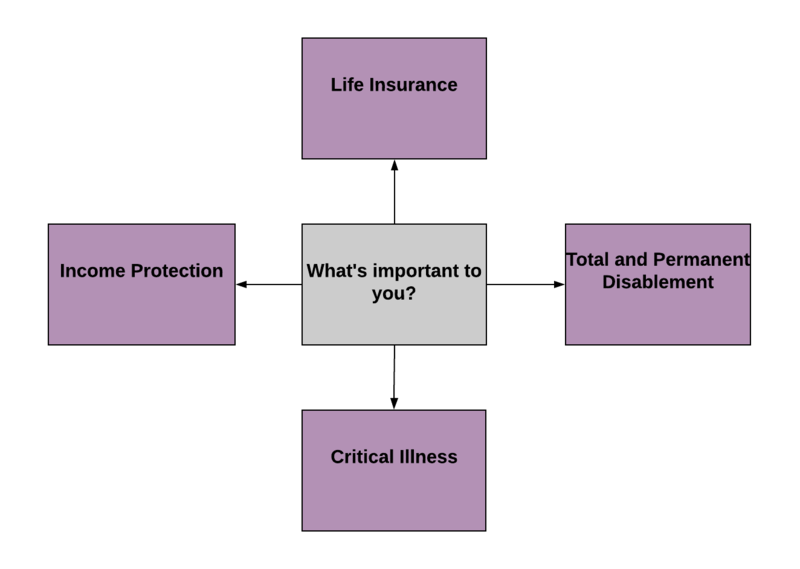 Beneficiary taxation position on any life insurance policy. Estate planning considerations such as is the policy owned in the most appropriate name/ entity, ensuring that the nomination on the policy remains in line with the client’s wishes on a review basis. When recommending coverage, we take into account your current financial position, your lifestyle requirements (e.g. private schooling for the kids), implications to cash flow (e.g. potentially structuring certain insurance within superannuation) and tax minimisation. Because all of these inputs change on a regular basis this necessitates regular reviews of all policies to ensure that the cover remains relevant for your circumstances. Reducing the cover where appropriate to ensure that more of your hard-earned money stays with you. If you’re self-employed or running a business, we can also help with variety of business insurance strategies. Contact Us for more information.